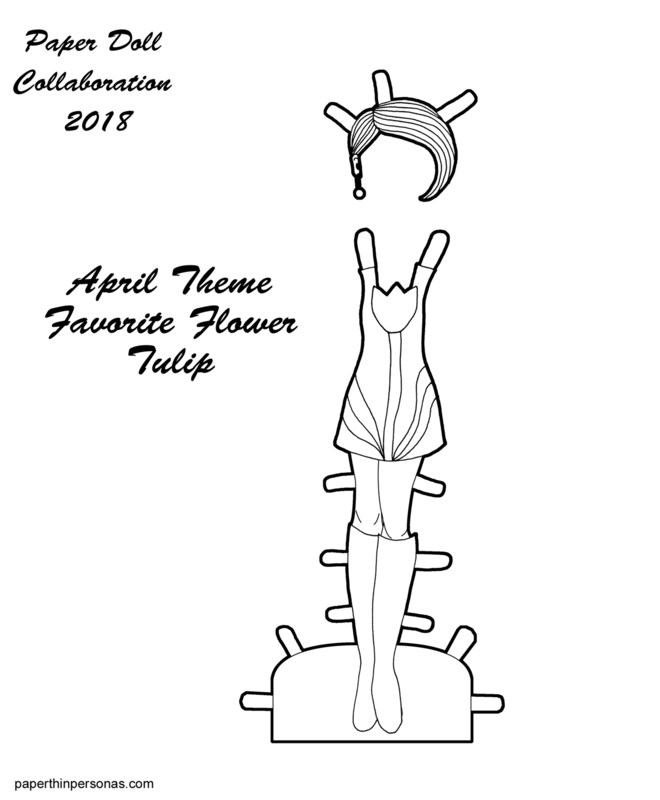 The April theme for the Paper Doll Collaboration was to draw a dress or outfit based on our favorite flowers. My favorite flower is hard to pick out, because I love so many. I love peonies, gerber daisies and tulips. I chose the tulip for this dress. Stylistically, this dress is based on the 1960s little swing dress. To really complete the look, I drew the paper doll some 1960s hair. For more of the paper doll collaboration, check out Paper Doll School and Miss Missy Paper Dolls for more paper doll content. I can’t wait to see what other folks have done with this wonderful fun theme. I love that you went totally mod for this! And the hair is the perfect addition. very retro mod! love it!